Boys don’t forget to mark your calendars…Valentines Day is this Friday! Maybe you have a go to tradition for your sweetheart like flowers, chocolates or jewelry, all of which are great options but why not shake up your usual tradition for something new! Instead of taking your lady out for dinner, plan to cook her a delicious meal at home and pair it with a specialty cocktail. 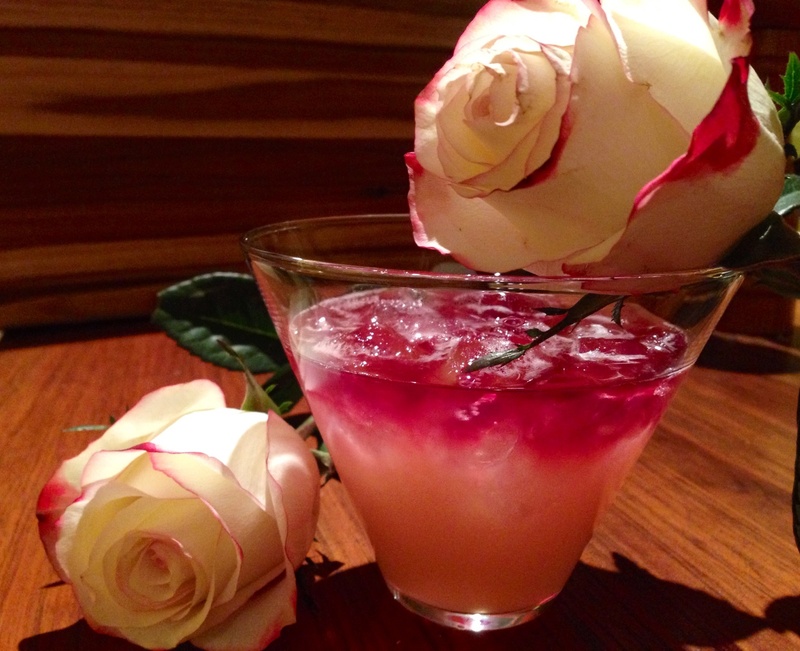 I was inspired to make this New York Sour after getting this beautiful bouquet of red tipped roses. A remix on your traditional whiskey sour, this cocktail is finished with a splash of red wine which floats on top and gives this drink a gorgeous appearance, oh and did I mention it’s delicious? I Used some local Park City High West Whiskey to make this drink which makes it extra special! 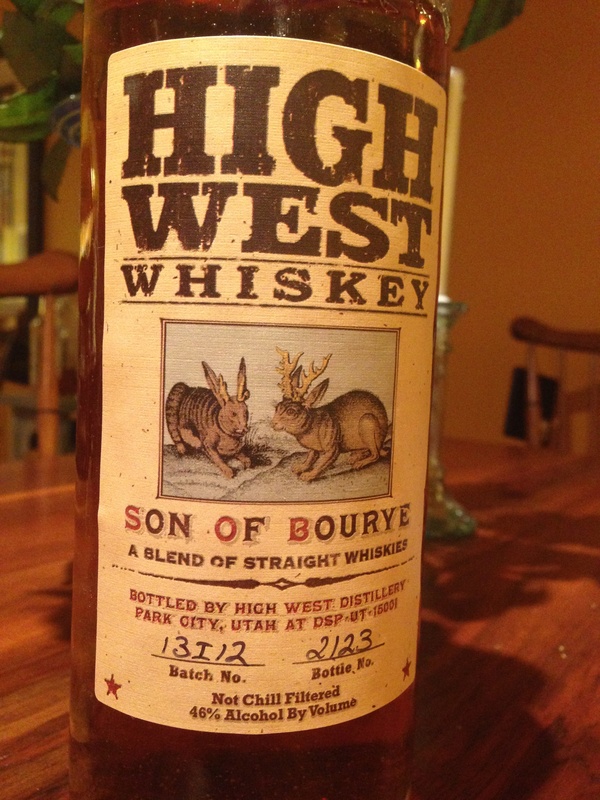 Son of Bourye is an amazing blend of Bourbon and Rye Whiskey which has a smooth and tasty finish. Don’t worry, if you’re not into whiskey drinks, check out this great list of floral inspired cocktails from ProFlowers.com. They all look so delicious and beautiful one of these cocktails is sure to WOW your Valentine! So this Valentines day, channel your inner Ski Boots in the Kitchen- cook up a special dinner and shake up a special cocktail for your special someone! Cheers! Combine the whiskey, lemon, and simple syrup in a cocktail shaker. Fill the shaker with ice, and shake vigorously for 8 to 10 seconds. Strain into a rocks glass filled with ice. Hold a spoon upside down over the glass, just above the surface of the drink, and pour the red wine over the back of the spoon into the glass (this way, the wine will trickle gently into the drink and “float” at the top of the glass, rather than sinking) Garnish with a lemon twist. You can purchase premixed simple syrup from the grocery store or liquor store- if you prefer to make your own see the recipe here. Enjoy! For more delicious recipes and inspiration like me on Facebook and follow me on Twitter. 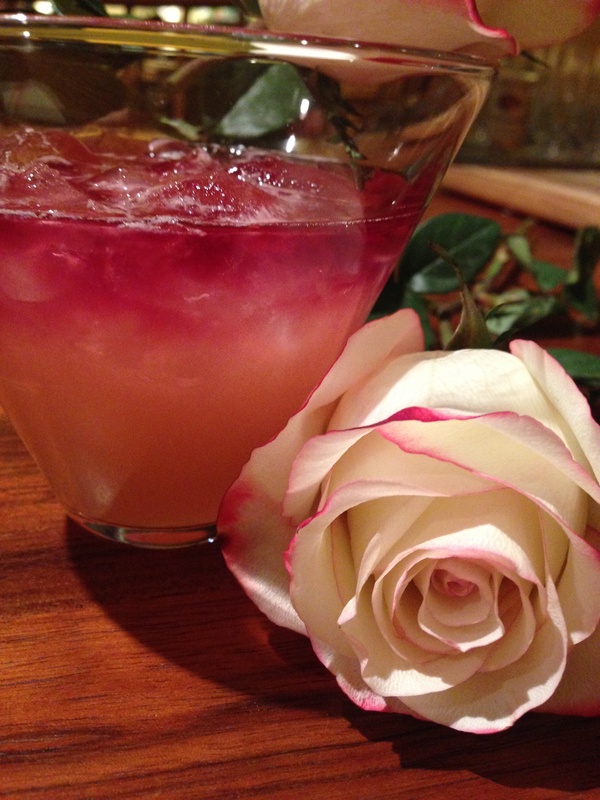 This entry was posted in Cocktails and Drinks, Recipes and tagged cocktails, floral drinks, New York Sour, valentines day cocktail, Whiskey sour by skibootsinthekitchen. Bookmark the permalink.